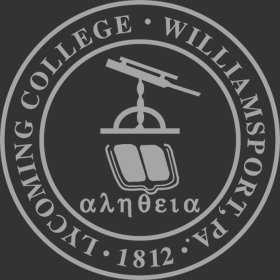 Lycoming College welcomes fifteen new faculty members for the 2015-2016 academic year. From left to right, sitting: Meghan Andrews, Jessica Munson; first row: Lorena Cuya Gavilano, Douglas Hines, Patrick Coyle, Michael Kurtz, Courtney Dexter, Biliana Stoytcheva-Horissian, David Andrew; second row: Sarah Holstein, Kristi Good, Jason Mifsud, Andrew Brandon, Justin Medina, Ceaphas Stubbs. David Andrew, Ph.D., is an assistant professor of biology. He received a Bachelor of Arts from Oberlin College and a doctorate from University of Arizona. Meghan Andrews, Ph.D., is an assistant professor of English. She received a Bachelor of Arts from Brown University and a Master of Arts and doctorate from the University of Texas at Austin. Andrew Brandon, Ph.D., is an assistant professor of mathematical sciences. He received a Bachelor of Science from Arizona State University and a Master of Science and doctorate from the University of Maryland. Patrick Coyle, Ph.D., is an assistant professor of business administration. He received a Bachelor of Science and Master of Business Administration from Rowan University and a Master of Science and doctorate from Virginia Polytechnic Institute and State University. Lorena Cuya Gavilano, Ph.D., is a visiting assistant professor of Spanish. She received a Bachelor of Arts from Pontificia Universidad Católica del Perú and a Master of Arts and doctorate from the Pennsylvania State University. Courtney Dexter, Ph.D., is a visiting assistant professor of education. She received a Bachelor of Arts from Southern Methodist University, a Master of Education from Texas State University and a Master of Education and doctorate from the Pennsylvania State University. Kristi Good, Ph.D., is a visiting assistant professor of theatre. She received a Bachelor of Arts degree from Kutztown University, a Master of Arts degree from Villanova University and a doctorate from University of Pittsburgh. Douglas Hines, Ph.D., is a visiting assistant professor of chemistry. He received a Bachelor of Science degree from Baldwin Wallace University and a doctorate from University of Notre Dame. Michael Kurtz, Ph.D., is an assistant professor of economics. He received his Bachelor of Science from Quinnipiac University and a Master of Arts and doctorate from University of New Hampshire. Justin Medina, Ph.D., is an assistant professor of criminal justice-criminology. He received a Bachelor of Arts from University of New Mexico, a Master of Science from University of Pennsylvania and a doctorate from Temple University. Mr. Jason Mifsud ‘13 is a vising instructor of mathematical sciences. He received a Bachelor of Arts from Lycoming College and a Master of Arts from Binghamton University. Jessica Munson, Ph.D., is a visiting assistant professor of Latin American archaeology. She is an anthropological archaeologist. She received a Bachelor of Arts from Princeton University and a Master of Arts and doctorate from University of Arizona. Biliana Stoytcheva-Horissian, Ph.D., is an assistant professor of theatre. She received a Bachelor of Fine Arts from the National Academy for Theatre and Film Arts, Sofia, Bulgaria and a Master of Arts and doctorate from University of Oregon. Ceaphas Stubbs is an assistant professor of photography. He received a Bachelor of Arts from Rutgers University and a Master of Fine Arts from University of Pennsylvania.